A steady hand is needed. 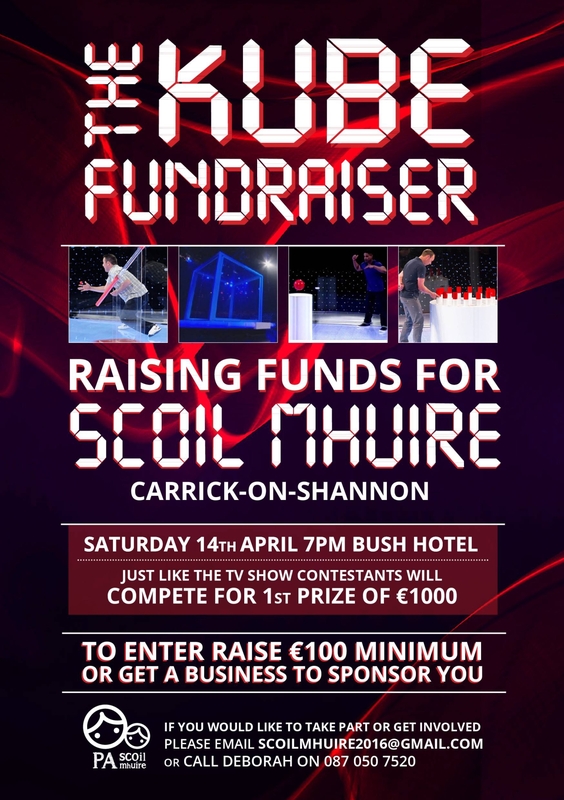 Scoil Mhuire national school in Carrick-on-Shannon is hosting a Kube fundraising event on Saturday, April 14, in The Bush Hotel at 7pm. Just like the popular TV programme, competitors will enter the Kube and complete a task. The Parents Association in the school have been busy for the past number of weeks organising the event. Lots of familiar faces will be taking part on the night in an attempt to claim the first prize of €1,000. Entry to the show on the night is – Adults €10, Children €5 (maximum €20 per family). There will be a big raffle on the night with lots of great prizes to be won. The organisers are hoping for a large turnout of parents, kids, grandparents, aunties, uncles, etc on the night to support the school and it promises to be a great fun event for children and adults. Scoil Mhuire, which operates from two campuses in the town, has the largest enrolment of any national school in the county. There is a vibrant and hard-working Parents Association in place to support the great work of the staff in the school and they really need your support this Saturday. Fundraising is currently taking place to help improve facilities and equipment at the school. Your support for this event is much appreciated. Please come along and enjoy a great family event.